New Zealand is world-renowned for Sauvignon Blanc. This racy varietal comes in several styles ranging from a high-acid UK style that cuts through the fat of fish & chips to the more tropical fruit style preferred by American tastes. Kiwi winemaker Nick Goldschmidt crafts Boulder Bank to suit the latter and the wine pairs particularly well with Mediterranean cuisine. Near the town of Blenheim lie the Rapaura and Brancott sub-regions. 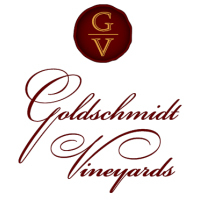 Each produces distinctive wines. The Rapaura, with its flat lands just to the north of town, consists of river bed and sandy loam soils while the hilly area of the Brancott to the south has glacial soils which offer better water-holding capacity. The soils drive the style: wines from the Rapaura often show fresh herbs, gooseberry, mineral, and passionfruit while wines from the Brancott typically offer more creaminess and weight. The Fitzroy Vineyard lies on the boundary between the two, thus Boulder Bank showcases the wonderful characteristics of each. 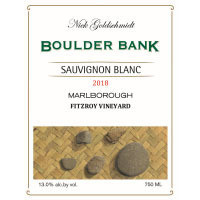 Boulder Bank is also a single-vineyard wine, an attribute not common to Marlborough wines in general. The fruit in this vintage is warmer than in the 2017.